atEvent is about to get even better. An all-new atEvent is on the horizon, and is faster and easier to use than ever. 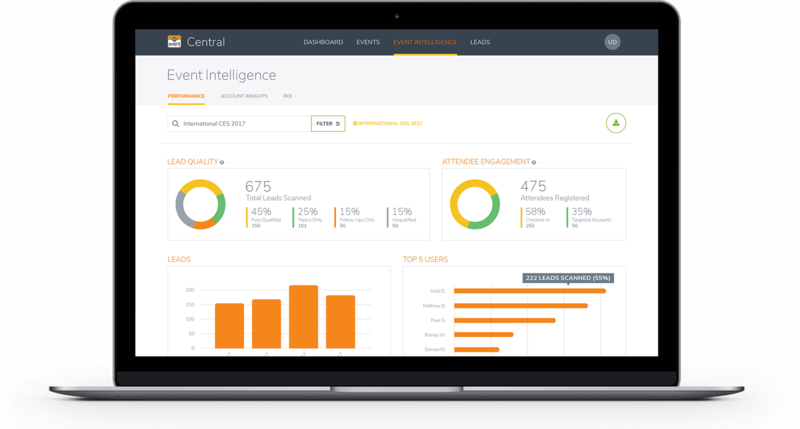 The revamped atEvent Central dashboard puts the information you need most at your fingertips. See the status of in-progress and upcoming events at a glance; color-coding lets you know whether they are ready to kick off, or need more attention, while new alerts make it easy to find and resolve issues with event setup. You asked and we listened. We’ve completely redesigned the process of creating and configuring events to be simpler and more intuitive—so you don’t miss any important details. While the new dashboard gives you the big picture of your events at a glance, enhanced filters allow you to pore through the granular data under the surface so you can fine-tune your event marketing efforts. Click a chart to drill down into event analytics, such as lead quality and topic trends, and export detailed reports in multiple formats. Access detailed interaction history and lead information by account, and compare ROI across events and across time periods, so you know whether to keep investing in an event. Search for and filter leads by event, time period, topic, follow-up, and other criteria. View lead statistics, such as leads that are fully qualified and those that are follow-up only. Easily sync individual or multiple leads to your Marketing Automation or CRM system. Click a lead’s name to access an in-depth interaction timeline and contact information. More features and functionality will be coming to atEvent Central, so stay tuned. Also, keep an eye out for updates to the atEvent Mobile apps later this year.